We haven't made it to the other difficulty levels yet on the app. (3 players- easy mode) We've played twice already, first time we didn't succeed. The second time we won. We wanted to make sure we got a good feel of the first difficulty before moving on and a good understanding of the game. With playing it twice on the same difficulty the game board lay out was different each time, new monsters appeared and different things did happen. Def will get your usage out of this game with the different options of playing. I also own the first edition, which rarely made it to the table. The set up was cumbersome and the game had to be planned in advance (no spur of the moment, “Hey, let’s play Mansions.”) Don’t misunderstand, we enjoyed the game once it was set up, and we were sad not to play it more often. 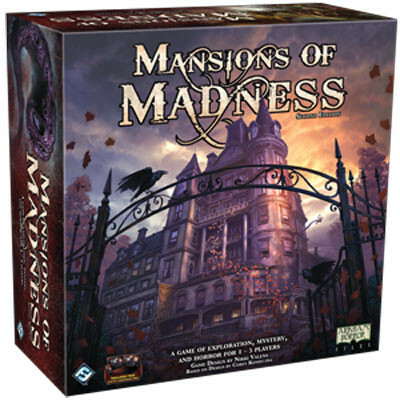 Enter Mansions of Madness 2nd edition. The set up is now a matter of moments. The app streamlines the games, and adds to the atmosphere and immersion in the game world. Game play is smooth as silk. Puzzles feel more authentic. The game gets out of its own way and lets the gameplay shine. The app even allows repeats of the same scenario to be different, so that you can play them again wothout knowing everything! Brilliant! This game is a masterpiece. Game is great, but replay-ability is really low. Scenarios have some changes in the map and in the main events, but you will still need to do the same things to be successful. Great game on the first play for each scenario; it is ok when you already know what to do; definitely boring when you know all the possible events in a scenario and you reach this point with 2/3 plays for scenario. If you don't like this game, then you haven't played it yet. Anyone who complains about the use of the companion app has obviously not even PLAYED this version of the game yet. You need to try something yourself before you can give an informed review. The app really streamlines the whole experience, as you don't get bogged down by the minutiae of setting everything up and making changes to the board. The app gives clear instructions that almost anyone can follow. This really speeds things up so that players can focus on the story of the scenario instead of the logistics. Some have complained that you don't get much bang for the buck. I completely disagree with that because a.) 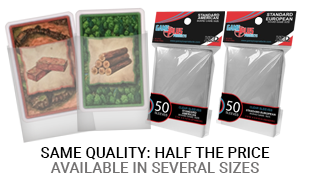 the quality of the game and the components more than justifies the price to me, b.) the scenarios have subtle variations, especially when you alter the number of players in the game, thus increasing the game's replay value, and c.) optional expansions can introduce new characters for use with the core scenarios, also increasing the game's replay value. My wife and I are not huge horror fans (to each their own). However, I borrowed this game from a friend to see if she and I would like it and because it is currently out of stock almost everywhere. We both LOVED it because it plays more like a mystery novel than a horror movie. And with the co-op mechanic, we aren't competing with each other, so my wife can enjoy it as much as I enjoy a great 4-X strategy game. I am planning on buying this as soon as it's back in stock and gifting it to my wife. I know that she wants to own it, too. Great improvement over the 1st edition. Love the app. Spent countless hours with friends and family playing it. I have been thoroughly enjoying this game. I've had a lot of fun hanging out with friends, and having the game whoop up on us. Great re-imagined game like non other! Another amazing game by Fantasy Flight. It's not everyday that a company gets a chance to redesign a game they have already produced. They not only reprinted the game, but they fixed and re-imagined so many aspects of the original game. The app adds so much to the game it's ridiculous! I highly recommend. Great game, shame about the NECESSITY for an app to play. I played the first edition and loved it; needing someone to be the Keeper was never an issue as I was always the GM in any roleplaying game we played and I enjoy the position, I actually like knowing the full story and watching it unfold as the players explore the setting. My main beef with the second edition is the fact that you CANNOT play the game without the app - maybe my group is excessively old school but although we all have plenty of tech at our disposal when we get together to game we don't want to have to rely on an app to play a boardgame. Otherwise this is standard Fantasy Flight stuff, which is to say excellent components and game elements. Overall though I prefer the first edition and that is solely due to the requirement of the app to play the second edition. For fan of Lovecraft games definitely worth checking out. Lots of fun and enjoying it very much, The app makes it so much better than first edition. Smooth and immersive gameplay. 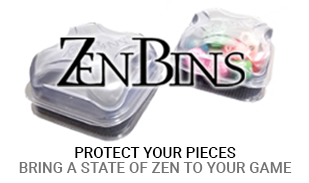 A must have if you love thematic games! Beautiful game with tons of fun and horror! A huge improvement over the first edition! A must buy! I highly recommend this game to any Lovecraft fan who enjoys board games. It plays well, has very nice components, and captures the spooky, shadowy world of HPL very well. I owned the 1st edition and never played it- it was just too much trouble to find someone wanting to be "The Keeper" ( Dungeon Master). I ended up selling the game. When this 2nd edition came out, I instantly grabbed it, knowing that having an app be The Keeper made this game a, uh, keeper. I rarely get a game these days that actually excites me, but this one actually got me fired up enough to not only paint all the miniatures, but also do some base alterations to suit my own tastes. It took a few days before I actually played the game (finished painting the figures, reading the rules, watching videos on YouTube), but when I did, I was very thrilled with the game play. My only complaint (and purely a personal viewpoint) is that the game seems to try to rush you through the house more than I like. I actually enjoy exploring the mansion but the game wants you to hustle through the place to save the world, therefore it has a built in "timer" to be sure you don't poke around too leisurely. I am aware that is the nature of these co-ops, but I would still like at least one scenario where the emphasis is less on speed and more on exploration. Overall, despite the somewhat exorbitant price tag, it is a game worthy of a spot on your shelf.